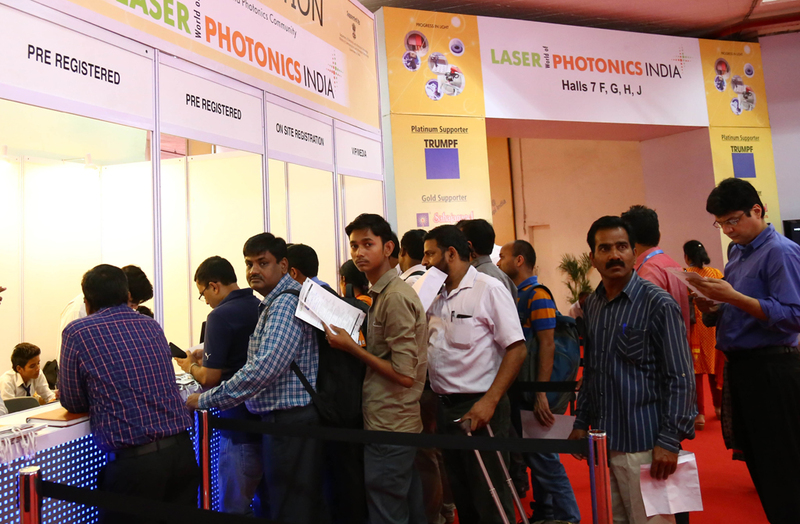 LASER World of PHOTONICS INDIA 2015, the 4th edition of India’s only trade fair for the laser and precision optics industry, came to an end on 11th September 2015 at Pragati Maidan Exhibition Centre, New Delhi. It brought together buyers and sellers on one unique platform. The fully sold-out trade fair meant more exhibitors, more exhibition space and more technology showcase at the 2015 edition. 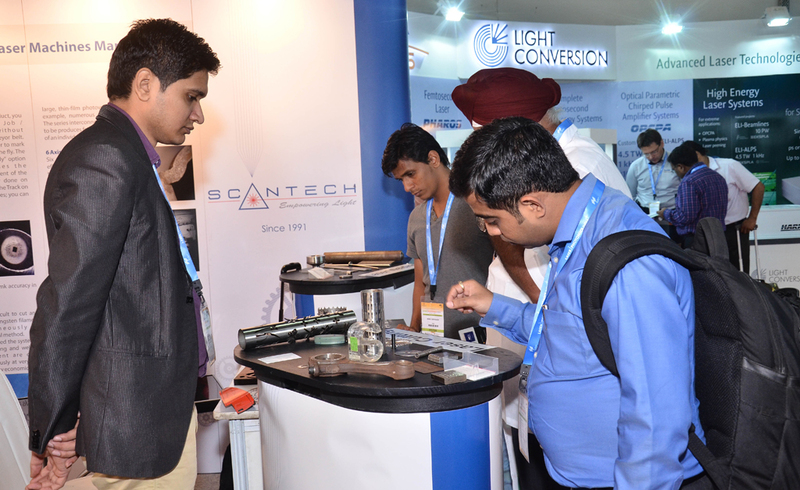 LASER World of PHOTONICS INDIA welcomed 145 exhibitors and 6,066 visitors. Visitors got the opportunity to witness the latest in lasers, precision optics and photonics under one roof. Both, exhibitors and visitors, were highly satisfied. The attendees were talking about how laser and optics technology can boost the technological development of the Indian industry and support the ‘Make in India’ initiative by the India government in various sectors. For the first time the new Machine Vision Pavilion gave an insight into industrial image processing and how it can help to optimize production processes, improve quality and make production monitoring more efficient. Some of the most important research institutes for laser and photonics technology in India, Central Glass and Ceramic Research Institute (CGCRI), Council of Scientific and Industrial Research (CSIR), International Advanced Research Centre for Powder Metallurgy & New Materials (ARCI) and Indian Institute of Technology (IIT), Delhi, gathered for the first time at a specific Research Pavilion and initiated an exchange between researchers and industry representatives about the existent and required fields of research in India as well as the transfer process of scientific findings into application oriented developments. 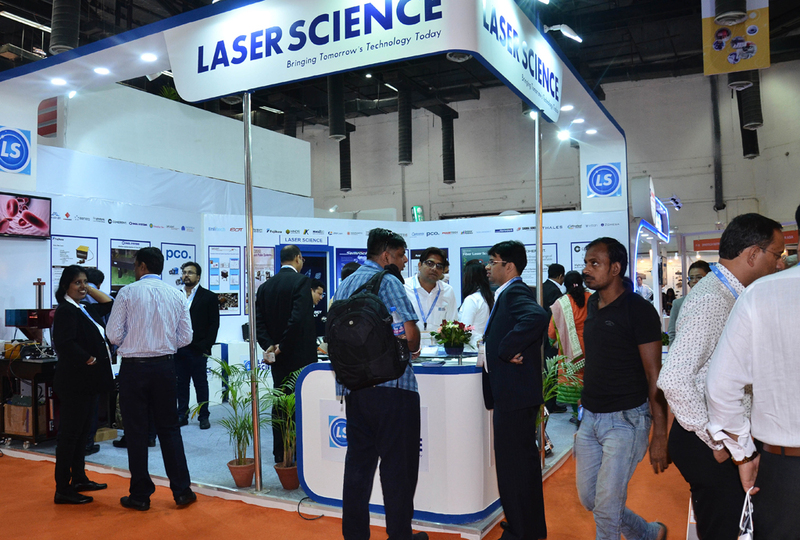 LASER World of PHOTONICS INDIA 2015, also witnessed accompanying programs held concurrently, which gave further insights into laser solutions for the diverse user industries. At the International Conference on “Application of Lasers in Manufacturing 2015” (CALM 2015) organized by ARCI, more than 120 delegates informed themselves and exchanged views about all aspects of laser processing of materials and new technology developments in micromachining, cladding, hardening, welding, cutting, drilling and repair & refurbishment. Dr. G. Padmanabham, Associate Director, International Advanced Research Centre for Powder Metallurgy & New Materials (ARCI), Hyderabad, said: “We are happy to note that the LASER World of PHOTONICS INDIA and the concurrent conference on manufacturing had great participants, the largest ever in terms of exhibitors, scientists and students. The 4th edition of the trade fair and the first in New Delhi has definitely left its mark both in terms of visitors and business partners. The Government of India is promoting the concept of ‘Make in India‘ and to realize this concept or idea, lasers can be a very important tool as they cater to semiconductor processing, nuclear, automobile, and aerospace which all come under the ‘Make in India‘ umbrella”. This year’s edition was supported by the Government of India: The Ministry of Communication and Information Technology, the Department of Electronics & Information Technology (DeitY) and leading industry associations like the Indian Laser Association (ILA), the Optical Society of India (OSI), the International Advanced Research Centre for Powder Metallurgy and New Materials (ARCI) and saw participation from country pavilions like China, Germany, Japan, Lithuania and the UK. 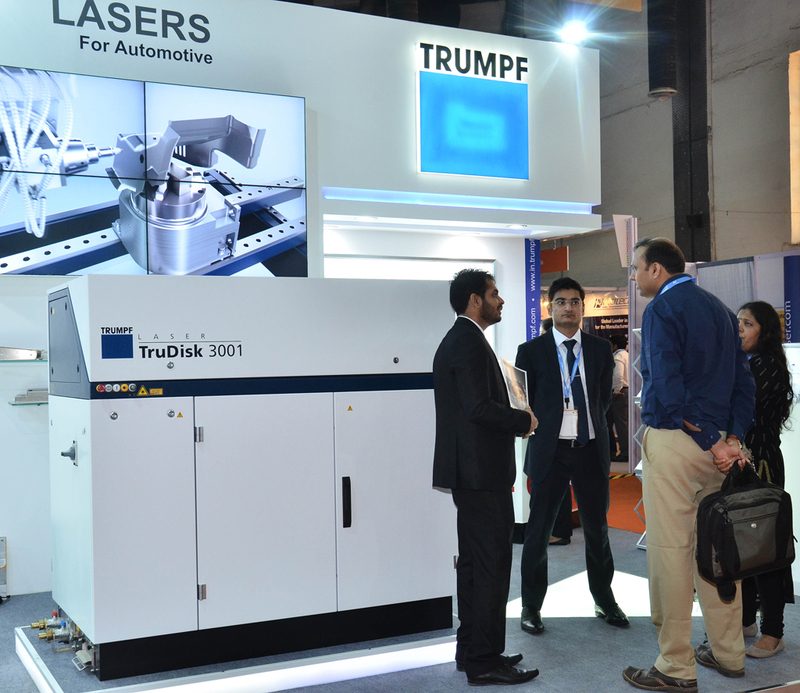 India’s largest trade fair for lasers, precision optics and photonics saw the entire industry in an international setting, tailored to the specific needs of the Indian market. Next year, the trade fair will be hosted in Bengaluru from September 21–23, 2016 at BIEC, Bengaluru.